Banksy wall sticker – boy meets girl. An iconic piece of graffiti art work from the anonymous well known street artist banksy. 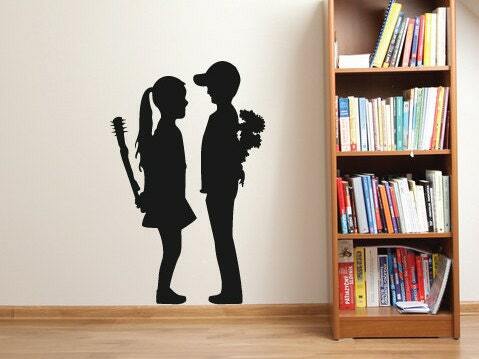 This banksy wall decal features a boy and a girl both holding different objects behind their backs. 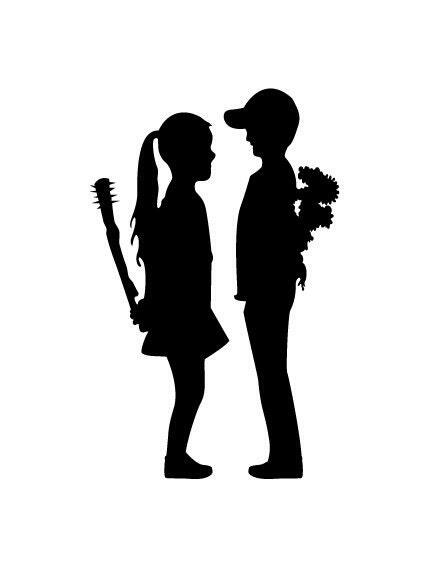 The boy holds flowers while the girl holds a bat with nails sticking out from it! Bring the amazing street art right onto your walls with this wall sticker. 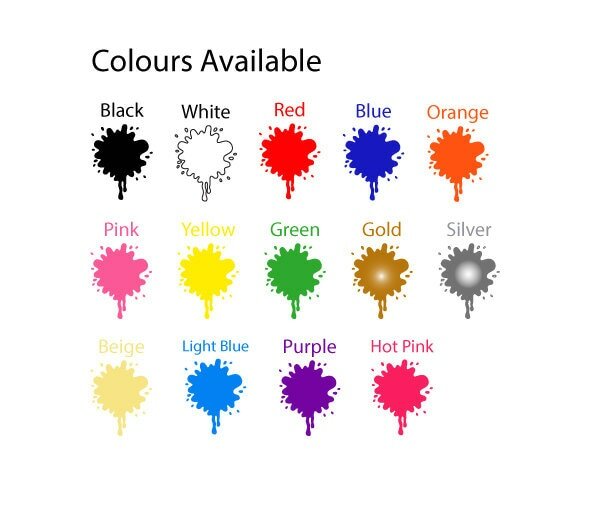 Available in 3 sizes and many colour options.